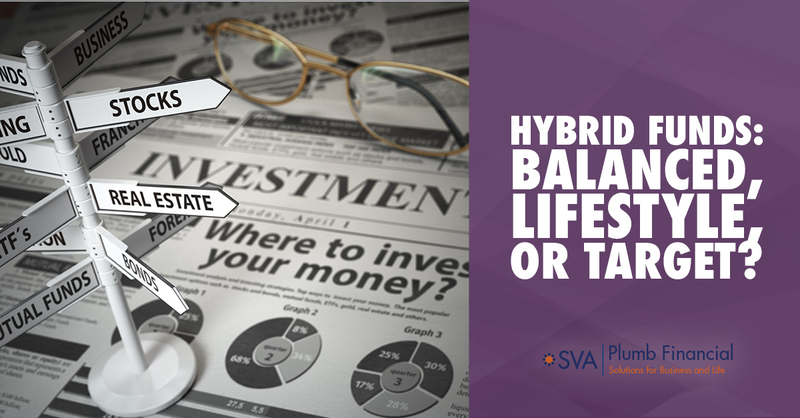 Although the goal of these funds is simplicity, they are not as simple as they may appear, and different types of hybrid funds have very different objectives. Balanced funds typically strive for a specific asset mix — for example, 60% stocks and 40% bonds — but the balance might vary within limits spelled out in the prospectus. Theoretically, the stocks in the fund provide the potential for gains while the bonds may help reduce the effects of market volatility. Generally, balanced funds have three objectives: conserve principal, provide income, and pursue long-term growth. Of course, there is no guarantee that a fund will meet its objectives. If you are investing in a balanced fund or considering whether to do so, you should understand the fund's asset mix, objectives, and rebalancing guidelines as the asset mix changes due to market performance. Rebalancing is typically necessary to keep a balanced fund on track, but could create a taxable event for investors. Lifestyle funds, also called target-risk funds, include a mix of assets designed to maintain a consistent level of risk. These funds may be labeled with terms such as conservative, moderate, or aggressive. Because the targeted risk level remains consistent over time, you may want to shift assets from one lifestyle fund to another as you approach retirement or retire. A conservative lifestyle fund might be an appropriate holding throughout retirement. Target-date funds contain a mix of assets selected for a specific time horizon. The target date, usually included in the fund's name, is the approximate date when an investor would withdraw money for retirement or another purpose, such as paying for college. An investor expecting to retire in 2035, for example, might choose a 2035 fund. As the target date approaches, the fund typically shifts toward a more conservative asset allocation to help conserve the value it may have accumulated. This transition is driven by a formula called the glide path, which determines how the asset mix will change over time. The glide path may end at the target date or continue to shift assets beyond the target date. Funds with the same target date may vary not only in their glide path but also in the underlying asset allocation, investment holdings, turnover rate, fees, and fund performance. Variation tends to be greater as funds near their target date. If you own a target-date fund and are nearing the target date, be sure you understand the asset mix and whether the glide path extends beyond the target date. Traditional balanced funds typically contain a mix of individual securities. Although these funds may be an appropriate core holding for a diversified portfolio, they are generally not intended to be an investor's only holding. However, some balanced funds and most lifestyle and target-date funds include a mix of other funds. These "funds of funds" are often intended to offer an all-in-one portfolio investment. You may still want to hold other investments, but keep in mind that investing outside of an all-in-one fund may change your overall asset allocation. Asset allocation and diversification are widely accepted methods to help manage investment risk; they do not guarantee a profit or protect against investment loss. The principal value of a target-date fund is not guaranteed before, on, or after the target date. There is no guarantee that you will be prepared for retirement on the target date or that any fund will meet its stated goals. The return and principal value of all funds fluctuate with changes in market conditions. Shares, when sold, may be worth more or less than their original cost. Randy is a Principal for SVA Plumb Wealth Management. In addition to helping his clients structure portfolios to meet their financial goals, he conducts investment research and serves on the firm’s investment committee. 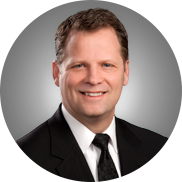 Randy has over twenty years of experience creating and managing portfolios for a wide variety of clients. His diverse education and experience also allow Randy to effectively coordinate his client’s investment strategy with other aspects of their financial plan.